Reveals production spec LED tail lights and alloys wheel design for the first time. 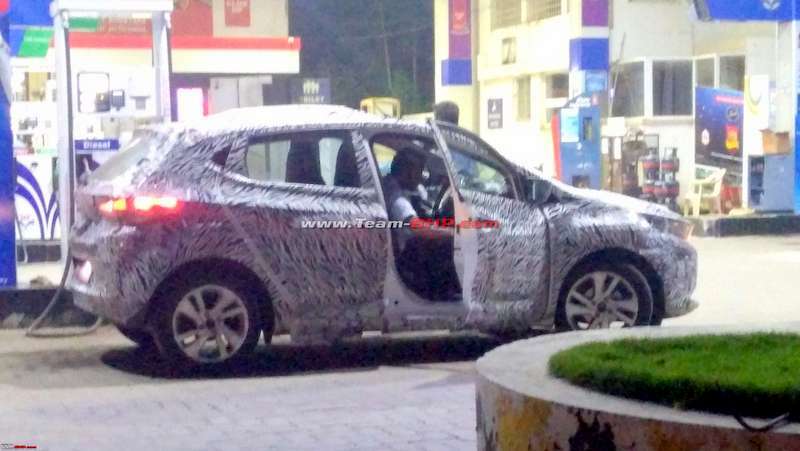 Slated to emerge as Maruti Baleno rival and successor to Bolt, Tata 45X production ready variant has been spotted testing once again. This time at a fuel station, reportedly filling diesel fuel. Codenamed Tata 45X, the concept model was showcased during 2018 Auto Expo. It has been designed and developed by Tata Motors European Technical Centre PLC (TMETC), located in Coventry, United Kingdom. The Tata 45X concept model measures 4,253 x 1,850 x 1,451 mm (L*W*H) and its wheelbase is 2,630 mm. However, length of production ready model will not be more than 4,000 mm. Concept model was longer because it was designed to showcase the maximum length possible under the Advanced Modular Platform, also referred to as Alfa. 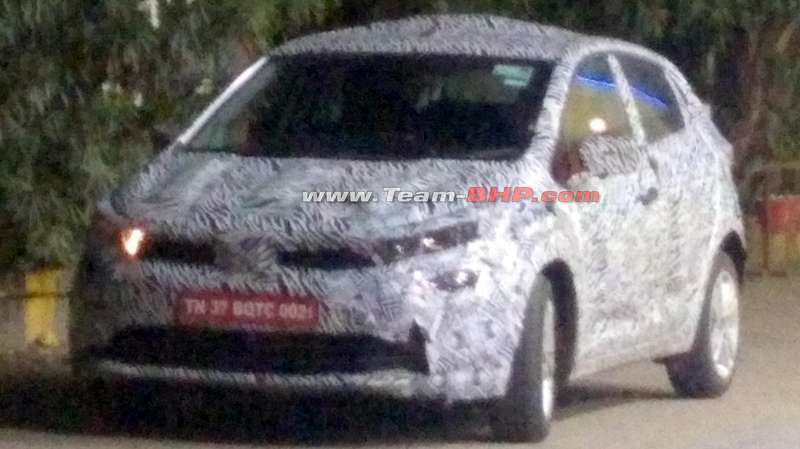 Latest images of production ready Tata 45X indicate that it has most of the design elements showcased in the concept model. It has a curvaceous roofline tapering towards the rear, which has been a key design feature of premium sports cars. Other prominent features include stylized and sleek projector headlamps, LED tail lamps with 3D effect, large alloys with five-spoke design, and prominent rear-view mirrors. Rear door handles have been neatly placed in the C-pillar, which gives the sides a plush profile. Tata 45X will offer various personalization options to customers and it will be available in several interior colour themes. The car will utilize high-quality materials to complement its powerful look and feel. Tata 45X petrol variant could be powered with a new 1.2-litre engine. It is possible that Tata might use a 48-volt mild-hybrid system for the petrol engine to optimize fuel efficiency and performance and to meet CAFE requirements in 2022. Diesel variant can have the 1.5-litre turbo-diesel engine that currently powers Tata Nexon. Tata 45X is expected to be launched during 2019 festive season. It will be the successor to Tata Bolt that has been experiencing dismal sales. In addition to Maruti Baleno facelift, which is due for launch next year, 45X will compete with the likes of Hyundai Elite i20, and Kia’s upcoming premium hatchback. Expected starting price of Tata 45X is Rs 5.5 lakh.